The Internet was supposed to make things easier. It didn’t. Today, media brands are finding it harder than ever to monetize through advertising alone, and at the same time commerce brands are watching their margins shrink and their acquisition costs skyrocket. The problem is massive, and both new and established brands are understandably concerned. There is, and we believe we’ve found it. 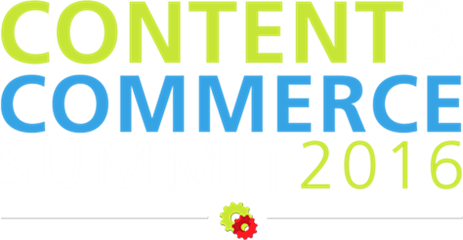 INTRODUCING CONTENT & COMMERCE SUMMIT! Content & Commerce Summit is unique because it brings digital media and ecommerce brands together, in the same room, to network, share ideas and discover new opportunities. Because commerce needs media…and media needs commerce. To put it another way, media companies (think bloggers, podcasters, news sites, content marketers, etc.) are great at aggregating attention, but they often fall short in MONETIZING that attention. Commerce companies (i.e. ecommerce stores, Amazon sellers, and even traditional brick and mortar retailers), on the other hand, are usually great at monetization…they just lack the systems and know-how to attract attention and build communities around their brands. That’s why Content & Commerce Summit was created, and now you’re invited to be a part of it. We launched Content & Commerce Summit, because we are “content and commerce,” and we want to meet and learn from other top media and ecommerce brands. At this event, we’re going to be “opening the kimono” and sharing exactly what’s working (and what isn’t working) in our different businesses. We’ve also asked some friends and colleagues who we know are doing innovative and exciting things to share their best strategies and tactics, too. Some of the names you’ll recognize, but many will be new. All of them, however, will be bringing their best, and what they have to share with you very just may change the direction of your company forever.